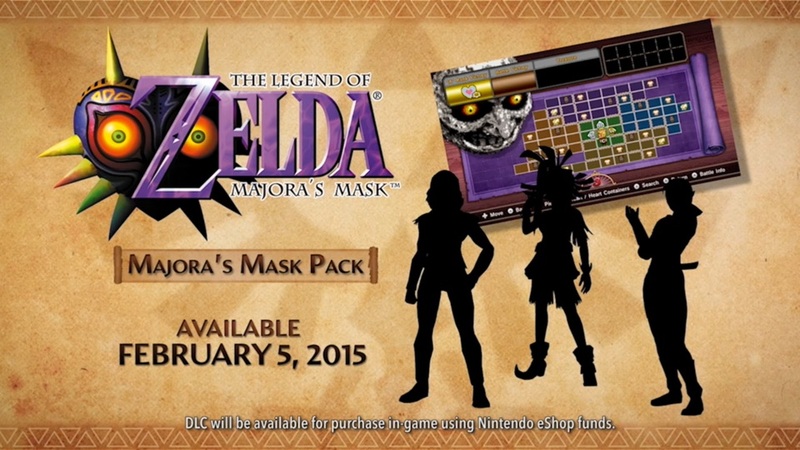 In today’s Nintendo Direct, Nintendo has revealed Hyrule Warriors’ next DLC titled the Majora’s Mask Pack. As always, it comes with new costumes, new characters, and a new Adventure Mode map to explore. Not much is known about what the new costumes are specifically. We do know who the new characters are. 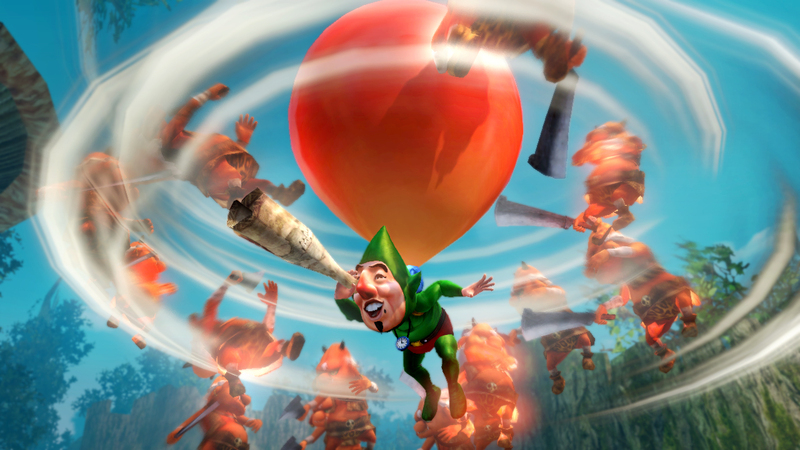 For those of you relatively new to the Legend of Zelda series, meet Tingle. You may remember him from the recent re-release of The Legend of Zelda: The Wind Waker as the purveyor of maps, but he first “graced” us with his presence back in The Legend of Zelda: Majora’s Mask. It’s only fitting that he makes an appearance in this pack. We also have Young Link. Masks play a big role in Majora’s Mask and it differentiates Young Link from his older version. 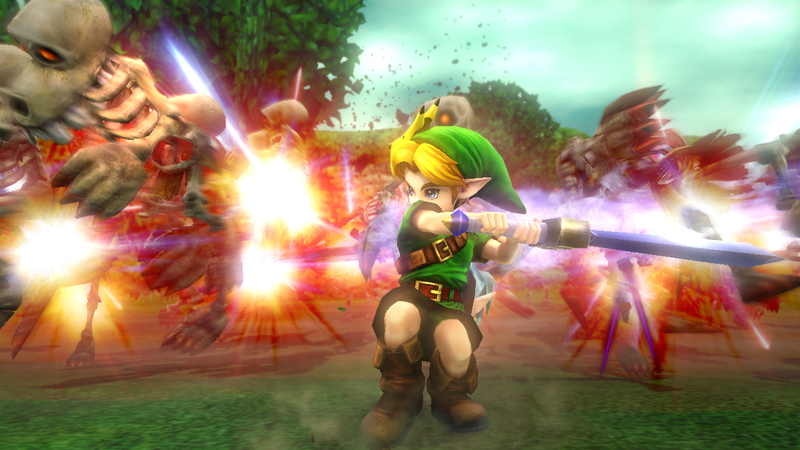 One of his attacks involves donning the Fierce Deity’s mask, the ultimate mask in Majora’s Mask, that transforms him into the boss killing, sword beam spewing Fierce Deity. 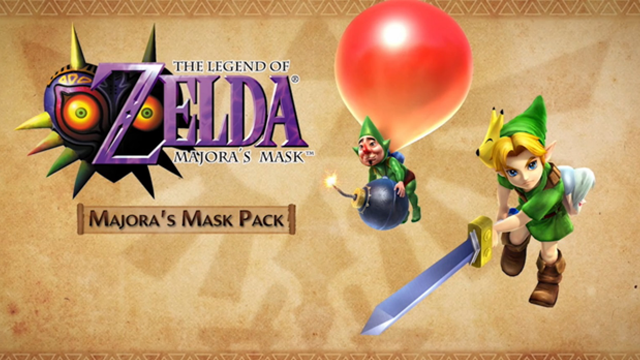 The Majora’s Mask Pack is priced at $7.99 and will be released on February 5th, one week before The Legend of Zelda: Majora’s Mask 3D for the 3DS. Cross-marketing for the win!